In the end, I liked Countdown to Final Crisis well enough. The final story comes down to a rather motley group of second-string heroes, which is hardly enough to hang a series on but sometimes makes for an entertaining read. And the Countdown to Final Crisis plot wasn't all that bad, in and of itself, even gripping at times -- but there's any number of instances where the book could have been better than it was. Countdown to Final Crisis ends with former Catwoman Holly Robinson in an apartment with Harley Quinn, telling her, "Never change." It's a strange ending for these two characters -- Holly, whom with the end of the Catwoman series we may never see again; and Harley Quinn, whose future appearances likely won't reference the events of this series. Neither one is changed by this series. Their roles were essentially reductive; Harley and Holly were present to expose Granny Goodness, who herself was killed before the end of the story -- a lot of fury signifying nothing. Indeed, we get the sense a bunch of character's didn't change over the course of this series. Jason Todd as irreverent, unsentimental, and one-sided as when the series started; Jimmy Olsen's changes, interviews have told, will mostly be swept under the rug; and despite the Atom, Kyle Rayner, and Donna Troy banding together, we'll next see them separate in three different series. I haven't minded spending time with these characters, but one likes to imagine it's a shared experience, where the characters change, too; here, not so much. I can't help but compare this to the end of DC Comics's previous weekly series, 52, which ended with the Question effectively asking the reader "Are you ready?" It's a message of hope, intrigue, excitement; "never change" seems a message of the status quo, likely the exact opposite direction DC Comics wants to suggest it's heading. But Countdown to Final Crisis was in a way a story of the status quo -- sure, a bunch of New Gods died, and sure we got to explore the Multiverse for a while, but ultimately you can't point to Countdown as the defining moment for a character like you can with Renee Montoya, Booster Gold, or others with 52. Or maybe "never change" is meant ironically; maybe it's meant to indicate that big change is just around the corner. I can't decide, if I were less knowledgeable about comics and simply picked up Countdown to Final Crisis off the stands, would I be more or less satisfied with the ending? This is a countdown to Final Crisis, let's not forget, so the uninitiated should have a reasonable expectation that this story continues into Final Crisis. To that end, some of the dangling plotlines -- the Buddy Blank of Earth-51 becoming OMAC, Pied Piper inspired to become a hero, Mary Marvel's turn for the worse, whether Holly and Harley will spend the rest of their lives in Holly's apartment -- might very well be picked up in Final Crisis. Knowing bits and pieces of what's to come, I doubt that, but to give Countdown to Final Crisis a fair shake, I have to acknowledge that maybe Countdown isn't meant to clean up all the pieces, Final Crisis is. Volume four does have its moments. Certainly the two issues of the Great Disaster narrated by Buddy Blank, which feature an all-too-real viral outbreak spreading across the world, kept my attention (though volume three, with the war on Earth-51, is still my favorite). I enjoyed seeing Darkseid's plot revealed, and the ultimate roles Desaad and Granny Goodness played. And again, I liked these characters -- some days watching Kyle Rayner, Donna Troy, the Atom, and Jimmy Olsen and a bunch of Hairies run across the Multiverse is all you need in this world. But I can't get around what I can only chalk up to poor writing in this series. Kyle Rayner, written with so much depth by Geoff Johns and Dave Gibbons, becomes a boorish loudmouth here, bickering constantly with Jason Todd while Donna Troy plays referee. The characters hardly seem like heroes, let alone people you'd want to spend time with. The amount of "gottas" and "wannas" in this volume astounded me -- if we want comics to be treated as literature, that means it has to be written as literature, and Kyle Rayner and Donna Troy don't speak the same as a character in high school might. Plot wasn't the problem in Countdown; the Multiverse war and the Great Disaster were each solid ideas. For my money, it was depth that Countdown lacked. That said, however, I remain excited about the DC crossovers to come, Batman RIP and Final Crisis, where I imagine the real action is. More reviews coming soon! I loved FC and its tie-ins but so many needlessly dangling plotpoints and characterizations in Countdown (especially near the end) really left me scratching my head. 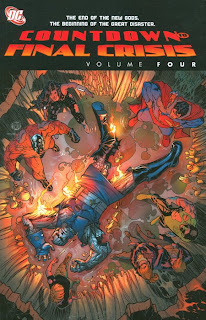 Having just re-read it in TPB's, it seems that one could stop reading the series after Prime/Monarch's destruction of Universe-51 and just jump straight into Final Crisis #1 from there, as that event seemed to have more bearing on the FC/SupesBeyond plot than anything else here. I read an interview with Mark Waid where he quotes Didio saying "Countdown was 52 done right." I find that realy unsettling. I suspect Didio means that in terms of the number of spin-offs they could come up with. The only spin-off they could do with 52 was World War 3, which was poorly received. Hopefully Didio's learned a valuable lesson with Countdown. That's the worst part. I wish he looked at in terms of quality, not how many other crappy books can he sell with it. I'm trying to speak with my dollar, I refuse to buy DC's junk spin-offs from now on. I hope others do too. I thought the 52 Aftermath Black Adam and Four Horsemen (especially) spin-offs were unnecessary and didn't buy them; now a bevy of comics refer to Black Adam, and Four Horsemen ties into the new Doom Patrol series. I guess if the spin-offs don't matter right away, I appreciate "retroactive usefulness." I didn't read the Four Horsemen one, but the Black Adam book wasn't bad. I like Tomasi's work so far. He's not always great, but usually good. As discussed in your review for Black Adam a while back, that was actually a really good story. Also, my favourite tie-in series to Countdown was Lord Havok & The Extremists. I found it pretty awesome, actually, probably because it had very little to do with the other Countdown characters and storylines, with the exception of them being recruited by Monarch and a few epilogue pages at the end that shows how they escaped the Prime/Monarch explosion on Earth-51. 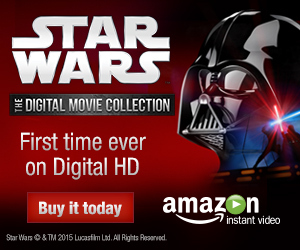 It focused on Earth-8 and the rise and fall of the heroes and villains there. It's definitely worth checking out, even post-Countdown, as again most of the story stands on its own. I will second the notion that Countdown Vol 3 was the best of the bunch; it was the only one I really enjoyed. What got me about Vol 4 was how it didn't seem to line up with The Death of the New Gods mini-series, which I read in between Vols 3 and 4. I thought Death of the New Gods explained pretty well what was going on with the Source and Darkseid et al, but none of that seemed to jive with the Darkseid story told in Countdown. Was Darkseid hanging out on Apokolips or on Earth? In Countdown Brother Eye took over Apokolips briefly and then exploded half the planet when he was forced out; none of this was evident in DotNG. Also, was the Darkseid/Orion fight in Countdown supposed to take place after their fight in DotNG? I could maybe buy that, but at the end of DotNG Darkseid had claimed the power of the New Gods souls and escaped with it; here in Countdown he's trying to extract that power from Jimmy Olsen but is defeated. Just overall, those blatant contradictions ruined things a bit for me. Agreed the stories don't quite match up, but I know there's a page in the middle of Death of the New Gods with Darkseid sitting in the midst of a bunch of screens that shows Countdown going on at the same time. I believe I understood that, because the gods were being hunted in Death of the New Gods, among the ways Darkseid tried to save himself was challenging the Monitor in Countdown. The end of Death of the New Gods, when Darkseid disappears, takes place right before the end of Countdown, when Darkseid reappears and fights the final battle of the series. Then -- here's where it gets tricky -- according to DC Universe #0, Darkseid subsequently goes back in time to where we see him in Seven Soldiers and in the Dark Side Club stories (so, Darkseid and Boss Dark Side are now existing at the same time), up until the Countdown point, after which it's just the Boss Dark Side incarnation that finishes out Final Crisis. If you can see it as the Boss Dark Side business taking place after Countdown from Darkseid's perspective, but simultaneously from our perspective, the whole thing makes a lot more sense.